Product prices and availability are accurate as of 2019-04-06 03:53:24 EDT and are subject to change. Any price and availability information displayed on http://www.amazon.com/ at the time of purchase will apply to the purchase of this product. 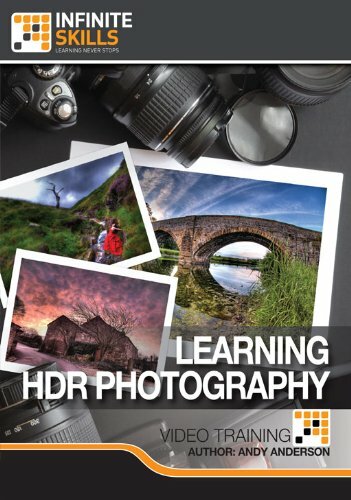 In this video training course on High Dynamic Range (HDR) Photography, expert trainer, digital guru, and photographer Andy Anderson takes you through the process of shooting and processing HDR images. HDR techniques allow you to capture a better photography representation of the intensity levels found in scenes, and can produce the most amazing images you have ever seen. Covering the complete process from camera to output, this training video is built for someone who has no HDR experience whatsoever. Andy starts by explaining exactly what HDR is, but quickly moves into the details of taking your shots, and the techniques involved there. 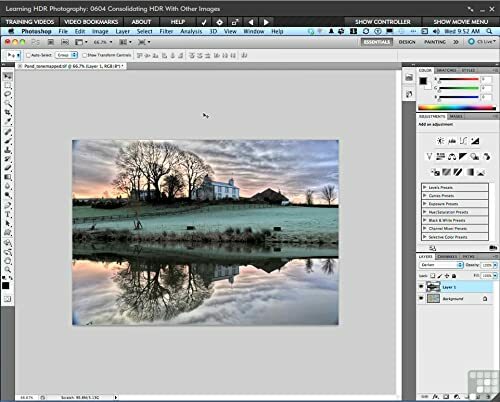 After the pictures are taken, you will of course have to know how to merge and manipulate them to create your HDR image - Andy has you covered. 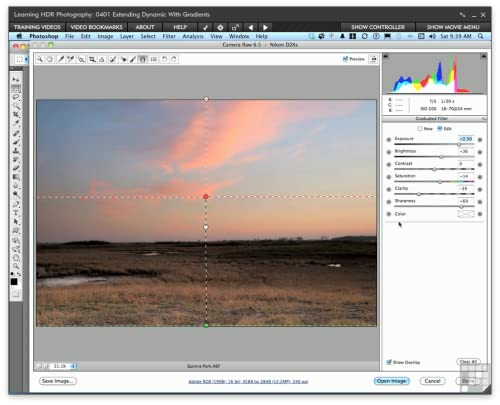 Using Photomatix you will learn to tone map, deal with missing exposure data, and remove ghosts in your merge. Andy teaches you how to work around the many pitfalls you could run into with HDR, all for he purpose of creating the best High Dynamic Range photographs that you could want. 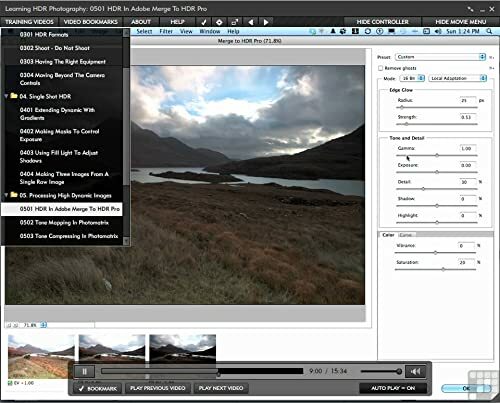 By the conclusion of this computer based training video on High Dynamic Range Photography, you will be fully versed in what HDR is, and how to create your own HDR images. 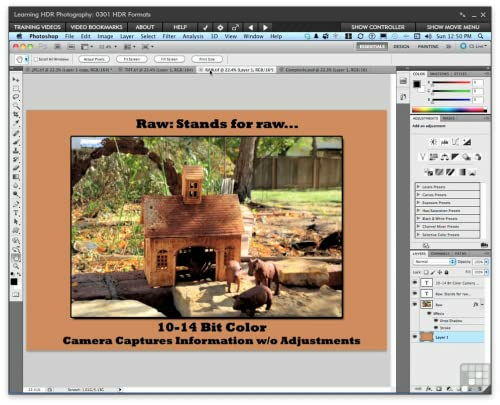 With over 2 GB of working files - including raw images to practice your own HDR techniques on, you will be able to follow along with Andy Anderson step by step as he teaches you how to create HDR images. 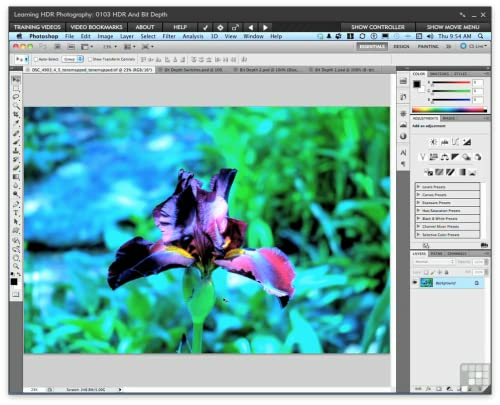 Learn HDR Photography from a professional trainer on your own time at your own desk. This visual training method offers users increased retention and accelerated learning. Breaks even the most complex applications down into simplistic steps. Comes with Extensive Working Files.